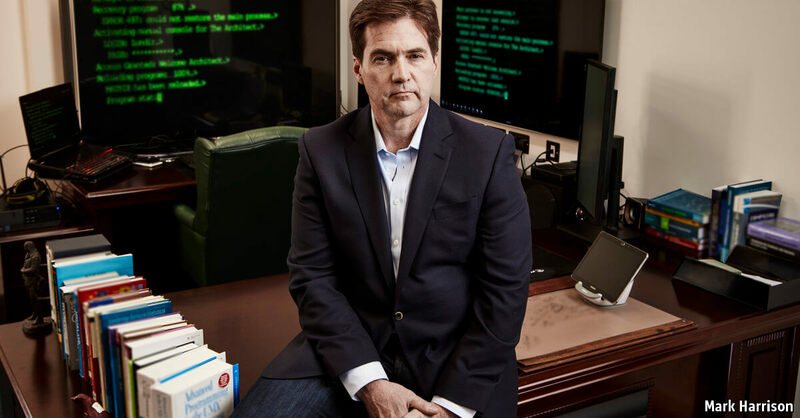 Earlier this week, Australian businessman and entrepreneur Craig Wright publically came out as Satoshi Nakamoto, the elusive inventor of Bitcoin. Wright’s claim was backed by two well-respected members of the Bitcoin community – Gavin Andresen and Jon Matonis – but even still, skeptics were able to poke holes in his story. Wright said he would provide undeniable proof to the community of non-believers by moving Bitcoins from an account known to be controlled by the real Satoshi and by sharing what he called independently verifiable documents. Now, Wright has reneged on his promise. Wright said that when rumors of his identity first made the rounds, his qualifications and character were attacked. When those allegations were proven false, he continues, new allegations quickly surfaced. Wright adds that he now knows that he does not have the courage and isn’t strong enough to provide the proof that would validate his claims. The businessman apologized to those that have supported him, naming Andresen and Matonis specifically, and hoped that their credibility and honor wouldn’t be irreparably tainted. No matter how you look at it, the events surrounding this week and those in early December are bizarre at best. The obvious conclusion that most will gravitate towards is that Wright is simply refusing to provide proof because he isn’t Satoshi and thus, doesn’t have access to the Bitcoin wallet in question. Wright is a well-educated man and one would think that he’s smart enough to realize he can’t pull a fast one on experts in the Bitcoin community. He’s managed to convince at least two leading experts and that has to say something about his claims. Wright said earlier this week he doesn’t want money, fame or adoration, he just wants to be left alone. If that were the case, why did he proclaim to be Satoshi at all? The rumors from last December that pointed to him are no longer in the news cycle. Did he just want people to stop snooping into his life? One would think that either staying silent or fully disclosing your identity would be the best route to reaching the goal of being left alone. Why present questionable evidence that would only damage your credibility? One possible answer – and I’m not saying that is or isn’t the case here – is that people at their core simply love attention. It’s why social networks like Facebook are so incredibly popular. Most people don’t care about “sharing” with others, they simply use those platforms to boast about their accomplishments, show off what they have or wallow in their sorrows – all in hopes of garnering attention. If everything Wright says is indeed accurate and he lacks the courage to provide the proof the world needs, that’s alright, too. Everyone deals with internal demons in some way or another and it’s entirely possible that fully outing himself is just too big a hurdle for him to overcome. Or maybe he really is Satoshi and is just trolling everyone and milking the attention from media and the community for as long as possible. At the end of the day, we’re still left wondering Satoshi’s true identity. It’s a mystery that may very well never be solved and for the person(s) involved in Bitcoin’s creation, that’s fine. As Wright said, Satoshi is under no obligation to reveal his identity. It’s his right to remain anonymous if he wishes.